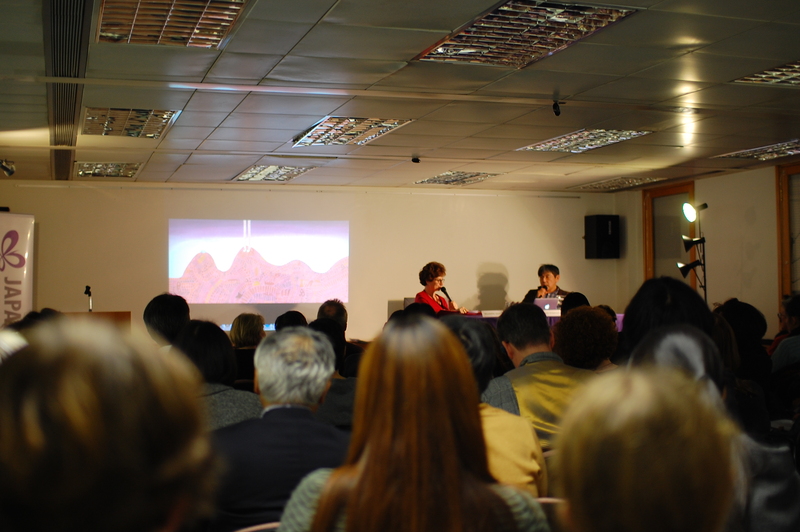 I went to see an artist talk by Satoshi Kitamura at Japan Foundation. 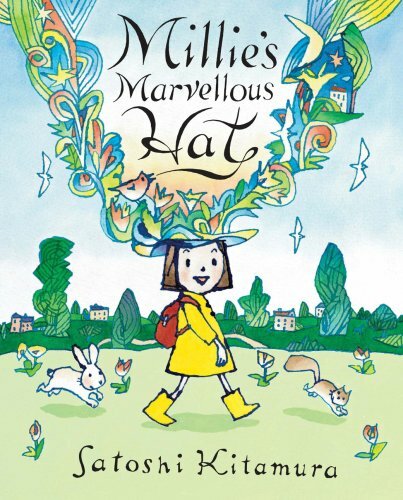 Satoshi Kitamura illustrates children’s books including “Millie’s Marvellous Hat” (2009), “In the Attic” (1984), “Me and My Cat” (1999) and “When Sheep Cannot Sleep” (1988). His illustrations are filled with drawings of sheep, rabbits, dinosaurs and cats. They are full of imaginations and fabulous colours. His books are available both in Japanese and English. 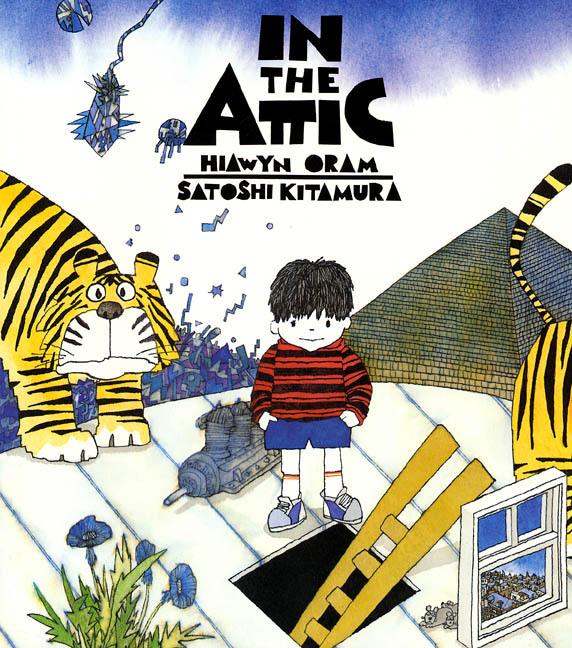 He also translated other authors’ books including the well-known “Elmer the Elephant” series by David McKee. The talk was supported with the slideshow of his work on the screen. Satoshi showed the collection of his illustrations on the envelopes he sent with letters in. They were all so beautiful. Anyone who receives his letter would be delighted. 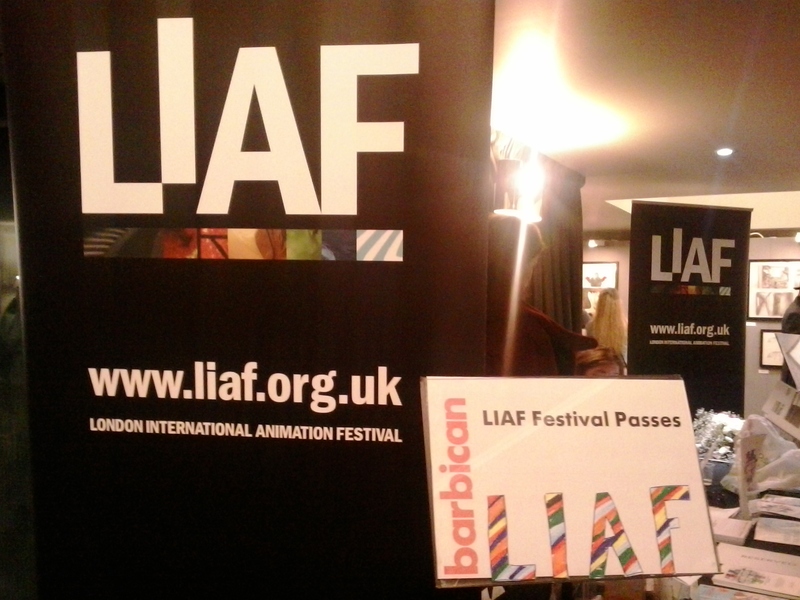 I went to see London International Animation Festival 2014 Andreas Hykade Retrospective + Q&A on Thursday 30th October. When I booked a ticket, I had a sneak peek of his work. As soon as I finished watching “Love & Theft”, I thought I would wait until I see other films on a big screen! Andreas Hykade is a German animation director, who continues to experiment and discover a new style of animation to work on. He has done many series of commercials, TV project/series, music videos and animated films for adults and children. The morph he creates with a pencil and paper is remarkable. Andreas also mentioned that for “Love & Theft” (2010), animation came before the music. It fits so well! The sound effects are all incredible too. They make the surrealistic characters and actions real. “Myself” series (2014) and Die Toten Hosen music video called “Walkampf” (2004).